Put these key ideologies in the correct spelling sequence. Then choose one of these words and write a definition for that word. Write your definition of one of the words above. This worksheet was created by John Bower. HOD Social Sciences at McAuley High School, Otahuhu, Auckland, New Zealand, 2018. 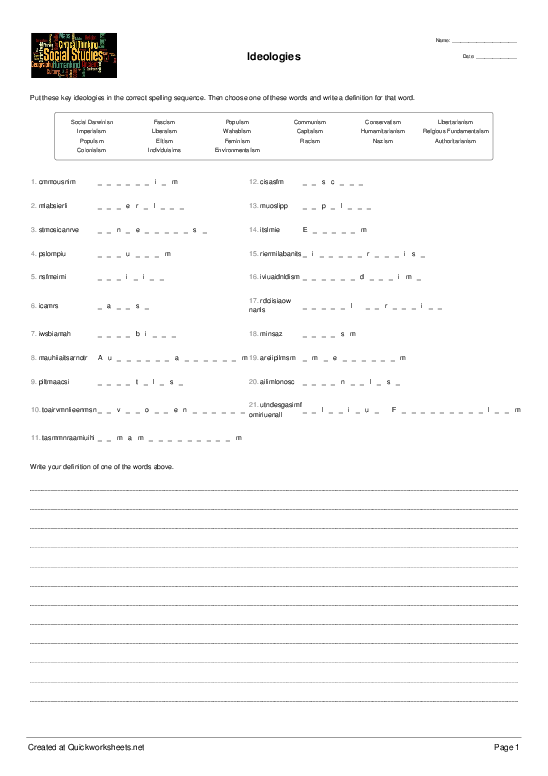 This worksheet can be used for any social studies topic on ideologies. You can download this worksheet for free simply by logging in. Don't have an account? It only takes 30 seconds to sign up, and it's free!